The gay pastor who accused Whole Foods of writing an antigay slur on his cake is recanting. 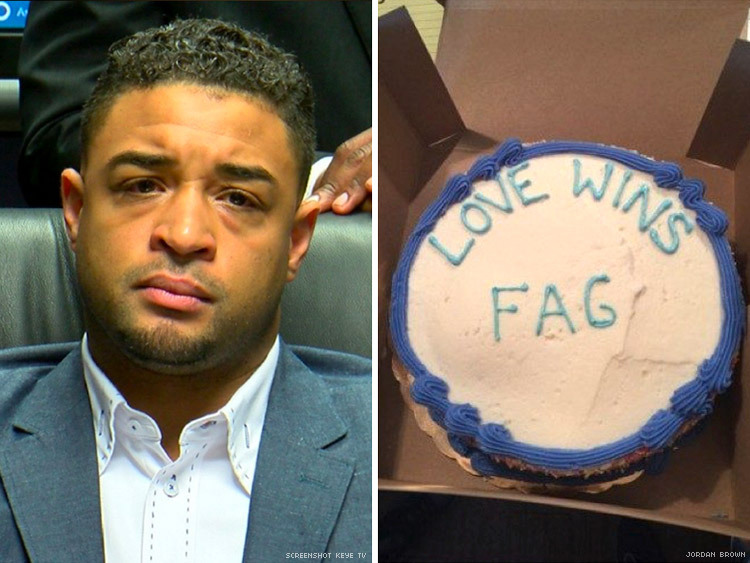 The Texas pastor who accused a local Whole Foods of writing “fag” on his cake is now publicly apologizing for making the story up. “The company did nothing wrong,” said Jordan Brown, pastor of the Church of Open Doors in Austin, Texas, according to the Austin American-Statesman. Brown posted photos of the supposed hate cake on his social media accounts — which have now all been deleted. And he sued Whole Foods, which counter-sued and distributed surveillance footage that it said proved Brown tampered with the cake’s message. Now that Brown has admitted “that his story was a complete fabrication,” Whole Foods said in a statement it has dropped that countersuit, which sought at least $100,000 in damages. Brown also reportedly apologized to his partner and his church for “diverting attention from real issues.” He had launched the Church of Open Doors because, as he said in an fundraising pitch in 2013, LGBT people need needed a welcoming place.